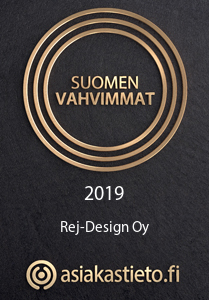 All REJ Design products are manufactured in Finland. Our electric towel rails are delivered with a plug connection. The length of the standard power cord is 130 cm. The drying rack is ready to be connected to an electric socket. Specify the handedness of the towel dryer when you place your order, which also specifies the location of the on/off switch with signal light. The unobtrusive switch is located at the end of the bar on the same side as the electric connection. The cord comes from below or the side of the mounting flange. Electric REJ Design towel warmers are manufactured with dry resistor technology, and they do not contain any liquid. As a result, they can also be turned the other way around during installation. The protection class of the electric towel rail is IP44 (resistant to splashing water), they are double insulated, and they do not require any earthing. Low energy consumption: 35–75 W, depending on the model. Provided that proper preparations have been made at the planning and construction stages, an authorised electric contractor is able to install the drying rack as a fixture, in which case the cord is hidden. In a fixed installation, we recommend that the own power cord of the device is used together with an installation pipe of at most 16 mm behind the mounting foot. If required, electric towel rails can also be ordered with a 400 mm power cord, which is long enough for a socket in a suspended ceiling.